Optimizing your vitamin D blood levels, whether by synthesis from sunshine	or through daily supplementation, benefits just about every life function of your body. With enough vitamin D in your blood, you can dramatically lower your risk of getting virtually all lifestyle diseases and many chronic diseases. It takes even lower levels of this hormone to prevent the common cold, influenza, and other communicable diseases. Just about any type of a health problem will be benefited by supplementing with vitamin D. The benefits of vitamin D seemingly can go on forever. "Like all steroid hormones, 1,25(OH)2D [i.e., D-3 that has been activated both in the liver and Kidney] acts as a molecular switch, activating more than 200 target genes, thereby regulating gene expression. Thus, locally produced 1,25(OH)2D exists in most tissues of the body, is under autonomous autocrine control, and has as many mechanisms of action as genes it targets. This explains why the same substance may have a role in preventing cancer, influenza, autism, asthma, multiple sclerosis, and cardiovascular disease, not just curing rickets and osteomalacia." To support these health claims you could go disease by disease and list out all the original research studies that have found a health benefit from vitamin D. But, I am NOT trying to publish a research paper, nor is this an academic Web site. The amount of evidence available is simply overwhelming. For the average reader, reading an overview of the health benefits of vitamin D documented in a few published reviews, which are easy reading, should provide more than enough evidence of effectiveness. DNA researchers have found 2,776 binding sites for the vitamin D re-ceptor along the length of the human genome. Further, they found that vitamin D had a significant effect on the activity of 229 genes, including those associated with Crohn's Disease, Type 1 Diabetes, Systematic Lupus Erythematosus, Colorectal Cancer, Chronic Lymphocytic Leukaemia, Rheumatoid Arthritis, and Multiple Sclerosis. In other words, vitamin D affects just about everything because it has the ability to turn on and off human genes that are associated with a large number of body functions and diseases. At this stage, the bulk of evidence for the efficacy of vitamin D on health conditions that go beyond bone health consists mostly of observational epidemiological studies. However, an association does not prove causation, and confounding variables could possibly account for the apparent association. Any confounding factors have to be accounted for mathematically with multivariate analysis. In some case, randomized controlled trial (RCT) studies are still needed. These vitamin D RCT studies do exist for some diseases. They are the types of studies required of pharmaceutical companies before they are allowed to sell new prescription medication. These types of studies take many years to complete and are very expensive. Since vitamin D cannot be patented, there is very little financial incentive for the private sector to finance RCT drug studies. In natural health circles, prevention is ALWAYS better than cure. There is more to natural health than just taking a vitamin D supplement. Vitamin D does NOT protect against everything, such as smoking, excessive consumption of alcohol, nor can it negate the overwhelming health negatives of morbid obesity. 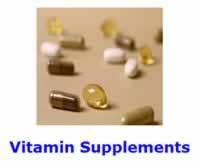 Furthermore, your liver and kidneys are vital steps in the synthesis of active vitamin D by your body. The liver changes cholecalciferol, or D-3, into 25(OH)D, the circulating form of vitamin D. Your kidneys changes the substrate 25(OH)D into 1,25(OH)2D, or the activated form of vitamin D. However, we now know that a wide variety of normal tissues, also, have the ability to make 1,25(OH)2D. Ergo, anyone suffering from either chronic liver or kidney disease is going to experience problems trying to benefit from vitamin D therapy. All-Cause Mortality - "The intake of ordinary doses of vitamin D supplements seems to be associated with decreases in total mortality rates." Bones - Enables the absorption of various minerals, including Calcium, Magnesium, Selenium, and Zinc. Risk of Falls - There was a significant relationship between supplementation of 700 IU/d and decreased risk of falls. Osteomalacia - Supplementing with 800 - 2,200 IU/d for up to one year resulted in the resolution of pain symptoms. Osteoporosis - Maintaining 25(OH)D blood levels above 78 nmol/L maximized d bone density. DINOMIT Model Of Cancer Development - Offers very compelling reasons as to why vitamin D can both prevent and potentially cure cancer. "Presently, the role of UVB and vitamin D in reducing the risk of cancer is considered a scientific finding that satisfies most, if not all, the criteria for causality in a biological system given by Hill. The most important criteria appear to be: (1) strength of association; (2) consistency in results for different populations; (3) generally linear dose-response gradients; (4) exclusion of possible confounding factors from explaining the observations; and (5) identification of mechanisms to explain the observations. These criteria are generally satisfied for several cancers in particular and many cancers in general." "We found that improving vitamin D nutritional status substantially reduced all-cancer risk in postmenopausal women. Furthermore, baseline and treatment-induced serum 25(OH)D concentrations were themselves strong predictors of cancer risk. These findings highlight the importance of promoting optimum vitamin D status and underscore the value of achieving and maintaining a high serum 25(OH)D concentration." Not counting cancers in first year, we saw a 77% drop in cancer rate in the test group. Both vitamin D and calcium have a chemopreventive effect against many cancers. You obtain adequate calcium levels from a good healthy whole Food diet, as well as from supplementation to protect against osteoporosis. Sunshine is inversely correlated with death rates for breast, colon, esophageal, gastric, and rectal cancers. Breast cancer: 50% risk reduction for breast cancer between groups with high (median = 120 nmol/L) vs. low 25(OH)D levels. Prostate cancer - Those who are below the median (62.5 nmol/L in winter and 80nmol/L in summer) have a significantly increased risk of aggressive prostate cancer. Lung cancer - Higher levels of circulating 25(OH)D improved survival rates in early stage lung cancer. Pancreatic cancer - "Participants consuming 600 IU/d or more of vitamin D experienced a 41% lower risk for pancreatic cancer when compared with those consuming <150 IU/d." Psoriasis - Vitamin D applied topically as a cream reduced plaque thickness while redness markedly improved. Hypercholesterolaemia - High cholesterol levels is a sign that your body is trying to synthesis more vitamin D.
Infectious diseases - Any disease caused by invasion by a pathogen that subsequently grows and multiplies in the body. Upper respiratory infections: Supplementation with 600-700 IU (cod liver oil) along with selenium and omega 3 fatty acids resulted in a 50% reduction in incidence of new upper respiratory infections. Lower respiratory infections - Children with less than 25nmol/L were 11 times more likely to experience infection. Rheumatoid Arthritis - Greater intake was inversely associated with risk of developing rheumatoid arthritis. Metabolic diseases - A large class of genetic diseases involving disorders of metabolism. Cardiovascular Diseases - Those whose 25(OH)D blood levels were less than 37.5 nmol/L versus those that were greater than 37.5 nmol/L had a significantly increased risk of incident cardiovascular events. Raising blood levels from 25 to 75 nmol/L reduced risk of insulin resistance, metabolic syndrome and impaired beta cell function. Hypertension - Blood levels of 25(OH)D were inversely associated with risk of incident hypertension. Peripheral Arterial Disease - Low blood levels of 25(OH)D are associated with a higher prevalence of Peripheral Arterial Disease. Fatal Stroke - There is a highly significant correlation between low 25(OH)D blood levels and risk for Fatal Stroke. Diopathic back pain - Maintaining 25(OH)D blood levels above 80 nmol/L resulted in pain resolution. Musculoskeletal Pain Syndromes - After three months of 800 IU/d of cholecalciferol with 1000 mg/d of calcium supplementation 67% of patients experienced complete resolution of pain symptoms. A ChIP-seq defined genome-wide map of vitamin D receptor binding: associations with disease and evolution. Genome Res. 2010 Oct;20(10):1352-60. Epub 2010 Aug 24. Arch Intern Med. 2008 Jun 23;168(12):1340-9. Arch Dis Child. 2008 Jun;93(6):512-7. Epub 2008 Mar 13. Review. Meta-analysis: longitudinal studies of serum vitamin D and colorectal cancer risk. Aliment Pharmacol Ther. 2009 Jul 1;30(2):113-25. Epub 2009 Apr 15. Meta-analysis of vitamin D, calcium and the prevention of breast cancer. Breast Cancer Res Treat. 2010 Jun;121(2):469-77. Epub 2009 Oct 23. Low serum vitamin D levels and tuberculosis: a systematic review and meta-analysis. Int J Epidemiol. 2008 Feb;37(1):113-9. Review. Vitamin D: an evidence-based review. J Am Board Fam Med. 2009 Nov-Dec;22(6):698-706. Review. Erratum in: J Am Board Fam Med. 2010 Jan-Feb;23(1):138. Altern Med Rev. 2008 Mar;13(1):6-20. Review. Vitamin D supplementation and total mortality: a meta-analysis of randomized controlled trials. Arch Intern Med. 2007 Sep 10;167(16):1730-7. Review. Vitamin D and calcium supplementation reduces cancer risk: results of a randomized [controlled] trial. Lappe JM, Travers-Gustafson D, Davies KM, Recker RR, Heaney RP. Am J Clin Nutr. 2007 Jun;85(6):1586-91. Erratum in: Am J Clin Nutr. 2008 Mar;87(3):794. Vitamin D intake and the risk for pancreatic cancer in two cohort studies. Cancer Epidemiol Biomarkers Prev. 2006 Sep;15(9):1688-95. Circulating 25-hydroxyvitamin D levels predict survival in early-stage non-small-cell lung cancer patients. J Clin Oncol. 2007 Feb 10;25(5):479-85. Lancet. 2003 Oct 25;362(9393):1389-400. Review. Primary vitamin D deficiency in adults. Drug Ther Bull. 2006 Apr;44(4):25-9. Review. A global study of vitamin D status and parathyroid function in postmenopausal women with osteoporosis: baseline data from the multiple outcomes of raloxifene evaluation clinical trial. J Clin Endocrinol Metab. 2001 Mar;86(3):1212-21. Erratum in: J Clin Endocrinol Metab 2001 Jul;86(7):3008. Vitamin D deficiency and chronic low back pain in Saudi Arabia. Al Faraj S, Al Mutairi K.
Spine (Phila Pa 1976). 2003 Jan 15;28(2):177-9. Female asylum seekers with musculoskeletal pain: the importance of diagnosis and treatment of hypovitaminosis D.
de Torrenté de la Jara G, Pécoud A, Favrat B.
BMC Fam Pract. 2006 Jan 23;7:4. Vitamin D intake is inversely associated with rheumatoid arthritis: results from the Iowa Women's Health Study. Low vitamin d levels predict stroke in patients referred to coronary angiography. Stroke. 2008 Sep;39(9):2611-3. Epub 2008 Jul 17. Plasma 25-hydroxyvitamin D levels and risk of incident hypertension. Hypertension. 2007 May;49(5):1063-9. Epub 2007 Mar 19. Circulation. 2008 Jan 29;117(4):503-11. Epub 2008 Jan 7. Serum 25-hydroxyvitamin D levels and the prevalence of peripheral arterial disease: results from NHANES 2001 to 2004. Arterioscler Thromb Vasc Biol. 2008 Jun;28(6):1179-85. Epub 2008 Apr 16. Ann Otol Rhinol Laryngol. 2004 Nov;113(11):891-901. Epidemiol Infect. 2006 Dec;134(6):1129-40. Epub 2006 Sep 7. Review. Vitamin D and skin: new aspects for dermatology. Lehmann B, Querings K, Reichrath J.
Exp Dermatol. 2004;13 Suppl 4:11-5. Review. Hypovitaminosis D is associated with insulin resistance and beta cell dysfunction. Am J Clin Nutr. 2004 May;79(5):820-5. Ultraviolet radiation exposure and risk of malignant lymphomas. J Natl Cancer Inst. 2005 Feb 2;97(3):199-209. Sun exposure and mortality from melanoma. J Natl Cancer Inst. 2005 Feb 2;97(3):195-9.